Can it have been a DECADE of enjoying Andrew Bell’s iconic Android cellular mascot? 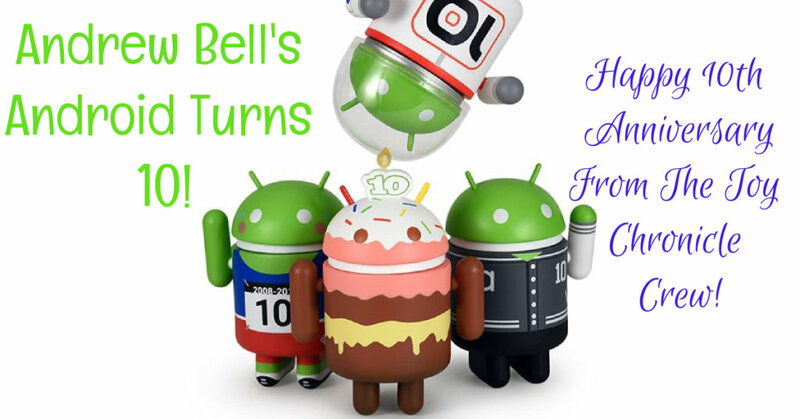 Throughout the last ten years, we’ve seen hundreds of these little guys in all kinds of costumes and activities and now, to celebrate this amazing decade, we have four more adorable Android friends to add to the mix. Meet Astronaut, Cake, Runner and Varsity, each sporting a “10” to commemorate this sparkling anniversary. You can purchase them in a set or by themselves, but of course, you wouldn’t want to split this crew up, right? If you head HERE to dead zebra’s shop, you’ll see where you can purchase the set for only $44 USD or Independently for $12 USD each. The choice is simple – keep this party together!!!!!! Also, if you do it RIGHT NOW TODAY (I’m talking cyber Monday deals, ya’ll) you can use the code “ASL” to save 15% on any order over $30 (which means that you should be buying the set to get this epic deal). And, if you go on the website, you’ll find a TON of Android gear that you never knew you needed. New to the work of Andrew Bell? He’s the artist behind the iconic Android figure as well as SO much more awesome work. His art is edgy at times, cute, and extremely collectible. Check out his Instagram HERE to see what I’m talking about, you’ll be really glad you did.